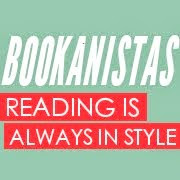 Not a lot of Bookanista news today. No new members, no babies, no new Bookanista releases at the moment. Just fab reviews for you. Today I'm reviewing LIKE MANDARIN. Goodreads summary: It's hard finding beauty in the badlands of Washokey, Wyoming, but 14-year-old Grace Carpenter knows it's not her mother's pageant obsessions, or the cowboy dances adored by her small-town classmates. True beauty is wild-girl Mandarin Ramey: 17, shameless and utterly carefree. Grace would give anything to be like Mandarin. When they're united for a project, they form an unlikely, explosive friendship, packed with nights spent skinny-dipping in the canal, liberating the town's animal-head trophies, and searching for someplace magic. Grace plays along when Mandarin suggests they run away together. Blame it on the crazy-making wildwinds plaguing their Badlands town. Because all too soon, Grace discovers Mandarin's unique beauty hides a girl who's troubled, broken, and even dangerous. And no matter how hard Grace fights to keep the magic, no friendship can withstand betrayal. The very first thing that captured my attention in LIKE MANDARIN was the prose--so lyrical and poignant and intense. Every page packed a punch and had me rereading lines over and over to better absorb the beauty. Hubbard paints such remarkable images with her words--images that are startling in their lush simplicity. There's one image in particular that comes to mind from the very beginning, that of Mandarin as a child looking intense and far too old-soulish for her young body--an image which just grabs you by the throat and sets the tone for the entire book. The story is actually told through Grace's point of view, which was a bold move on Hubbard's part. For one thing, Mandarin appears to be (at least on the surface) the most interesting character. She's the one with all the problems, the attitude, and the mega guts sans glory. Grace, on the other hand, is not one to challenge the status quo, just getting by until one day she can go off and do something important (leaving her mother, an irritating, wealth of humiliation, behind). But even though the story is named after Mandarin, the issue at hand isn't really Mandarin at all. It's Grace and her search for identity (with and without her mother), which is spurred on (and possibly hindered) by Mandarin. For a YA novel, this was a brilliant choice. Establishing one's identity is the bane of adolescent existence. And as troubled and possibly dangerous as Mandarin is, she doesn't doubt who she is or what she wants. So even though Mandarin has a story, it plays out on the sidelines. Ultimately, we get to witness Grace's evolution, her coming into being and all the difficult steps and stumbles it takes to get there. Through Mandarin's eyes, this story likely would have felt more adult and more hopeless. But through Grace, just like her name implies, there is a sense of hope (even in those low moments). So, let me just say...freaking fantastic characterization. So sharp, so genuine. Both Mandarin and Grace are such distinct characters, shaped from seemingly different molds. Yet their stories are so perfectly intertwined, often running parallel. Here's what Mandarin does for Grace: just by her existence, Mandarin helps Grace to uncover how unhappy she really is. Mandarin embodies (and reflects outwardly) that discontent and pain that Grace carries around inside of her all the time, and Grace can't help but respond to that. Indeed, both of them suffer a claustrophobia which is so intense it's palpable--but it's in response to different things. Mandarin feels trapped in the rinky-dink town--a feeling I know all to well. That feeling of desperation to just get out, not because there's anything inherently wrong with the town or even it's size, but because you are wrong in it. Grace's claustrophobia is probably even more tragic, though, because the thing she's desperate to escape is herself. And she sees something in Mandarin that makes her think perhaps that's her ticket to do just that. But what she will have to discover, if she's ever to find her identity and self-respect, is that strength cannot be given from one person to another. It can only be borrowed. LIKE MANDARIN is a soft, graceful sort of book, like the stir of a warm breeze, but just as eloquent and refreshing. So moving, and so breathtakingly timeless. It will resonate with teens and adults who remember their teens for years to come. Oh, you put our (well, really MOST) reviews to shame! SO well thought out and they prove what a fantastic writer YOU are. I am seriously foaming at the mouth to get my hands on this book. I love the entire concept of it, but more than that, I know this will be one of those books I'll read with complete respect. I always admire writers who write poetry in novel form. It's incredible! Based on plot alone this normally wouldn't be something for me (no sword fights). But I've heard so many wonderful things about the writing, I may have to pick it up. I'll read a book about anything if the writing's good enough. Beautiful, beautiful review. Like LiLa said, your writing is gorgeous. I've been waiting for this book for a long time! You always write such great reviews, Carol. I like the different setting: Wyoming. And the premise how "good girls" can be swayed by dangerous ones. This has been in my top 5 for '11 list. My first love is always character development and second is always lyrical prose. Everything else is background to me, but I NEED layered characters to drive the story and I LOVE pretty, interesting, thoughtful prose. Another delightful review, Carol. I know I've told you this ad nauseum, but you give lovely in depth reviews without ever giving away a single spoiler. Have a wonderful, writerly weekend...and I am catching up to our #30k...managed to get some done last night and this morning...and the day is young! This book sounds like just my type of story; I've been excited about it for awhile. Wonderful, thoughtful review as always! This was a fantastic review. I've been wanting to read this ever since I began following Kirsten's blog. But the way you reviewed it makes me wish it were March already. Wow, that sounds great! I love to read about characters like Mandarin. Will definitely be on the lookout for this one in March. Oh, oh, oh, I can't WAIT to read this book. Every time I see the Goodreads blurb, I think how I was a good girl, like Grace, dreaming of being bold and brave, and I want to find out how this story plays out. Thanks for the great review. Now I want to read this book even more! I agree. Your review is gorgeous! But I am about a third of the way through this one and you are right. Her descriptions are dead on and really nail the sense of PLACE. Sounds like a visceral character study which are just the best. I sense that this book would linger long after on has finished with it. Yowza. A gorgeous review for what I know is going to be a gorgeous read! Great review! I've read snips of Kirsten's writing and it's just beautiful. Can't wait to get my copy of LM! Gotta get my grubby little fingers on a copy of this. Excellent review, Carolina. I've been intrigued by this book for some time, but you made me have to read it. Sounds like an amazingly written novel. I just finished JOhn Green's Paper Towns and had a similar reaction to Margo being the more interesting and dangerous character than Q, the narrator. It was captivating to look through another's eyes and how he grows because of what he sees. sounds like an awesome book! i can't wait to read it! thanks for these great reviews! Wow, what an amazing review! I am so beyond excited to read this book. It reminds me a bit of My So-Called Life (good girl getting influenced by wild girl), which is my all-time favorite TV show. I just know I'm going to love this. I am really looking forward to this book! Of course it helps that it's set in Wyoming, I live in Wyoming, yay a Wyoming book!!!!! but your review gives me lots of other reasons to wait impatiently for this book. Great review. Super interesting about the point of view character. Thanks for sharing this with us. Great review, it just solidified my want to read it it even more! This sounds like a great story, Carol. Thanks for this review. I've had my eye on this for a long time. I can't wait to get my copy. What a beautiful review! Like Mandarin isn't the sort of story I read that often (although it's increasing), but it instantly caught my attention the first time I heard about it. I can't wait to read it.